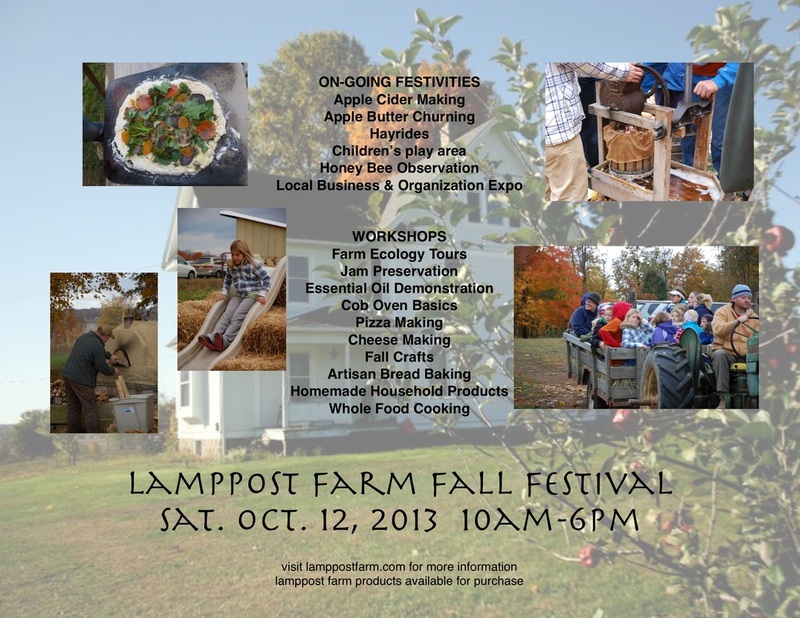 2013 Fall Festival - Welcome to Lamppost Farm! The leaves have begun to change colors. Cooler weather seems to have set in. Ducks are migrating south. And, the apples are laying on the ground. Fall has quickly come upon us and it is time to celebrate what God has done this year. Come out for part or all of the day. Listen in on some fireside chats, take a few hayrides, learn some new skills. Schedule of workshops coming soon! The cider will be flowing and the apple butter bubbling. See ya soon! T-shirts will be for sale at the Festival for $15.